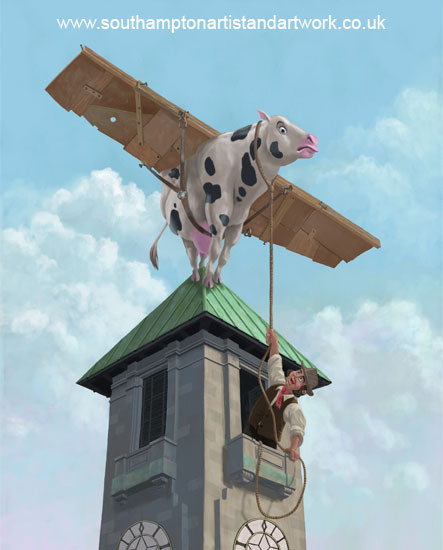 This illustration features a cow sitting atop a tall clock tower, with some home made wings attached. The farmer, its owner, is persuading it to become the first fly cow. The clock tower is a real one attached to the Civic Centre building in Southampton, UK. For this illustration I took a number of pictures from ground level of the tower, and redrew it for the angle required here. The image is painted in photoshop to a size of 8" x 10".